This Tyrrell Katz London drawstring kit bag in the popular Pirate design is great for any little boy! 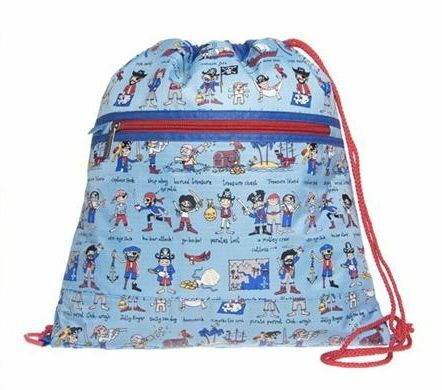 It is bright and colourful and can be used as a library bag, for swimming or sport. The waterproof material both inside and out allows it to be wiped clean and the front zip pocket is handy for extra storage. ** Tyrrell Katz designs have been loved by mums and dads in the UK for 15 years. We are now excited to have the range available here in Australia.